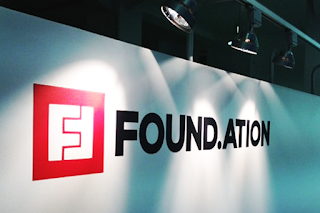 Found.ation is a technology and innovation platform that focuses its activities on 3 main sectors: a) Startup Incubation and Acceleration, b) Digital Education and Knowledge Transfer, c) Digital Transformation. Fostering the digital evolution inside organizations and teams is elemental to our mission. We are the selected local partner in Greece, Bulgaria and Romania of EIT Digital, the EU body responsible for the digital transformation of Europe. We are cooperating with some of the largest organizations in the area like Eurobank, Microsoft and the Municipality of Athens. We are looking for an Administrative Assistant to perform a variety of administrative tasks and to provide support to our team, assisting in general administrative activities, office and event management. Τhe candidate will be involved in all company’s activities. The role will involve strong multitasking abilities and team working skills. Date : 6/11/2018 07:14:00 μ.μ.